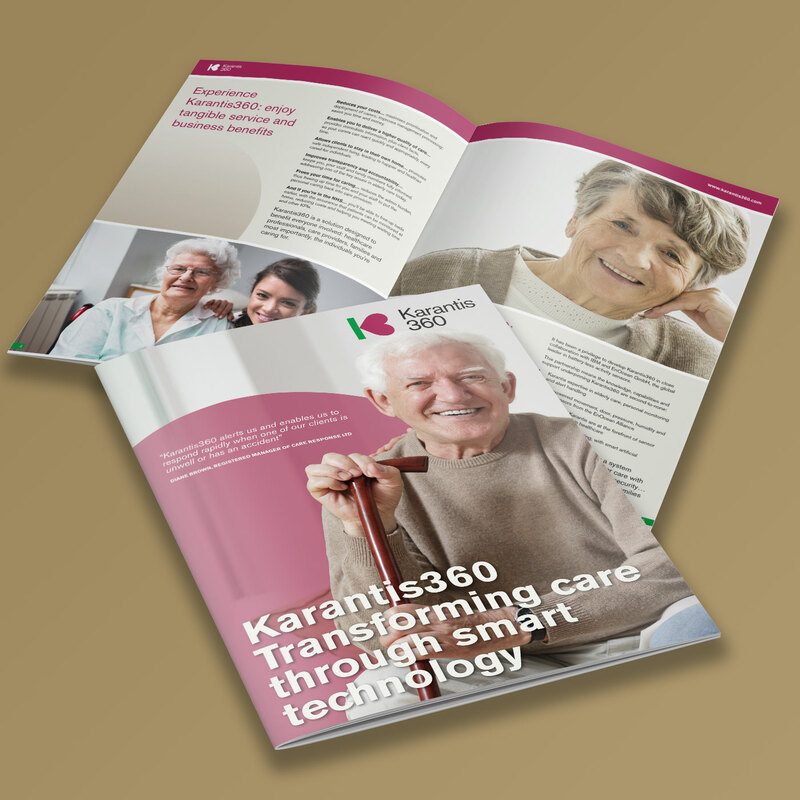 Karantis360 is an automated personal monitoring and alerting system, using intelligent, battery-free sensors, wirelessly linked to a discreet, mobile device which sends reports and alerts to carers and family members. 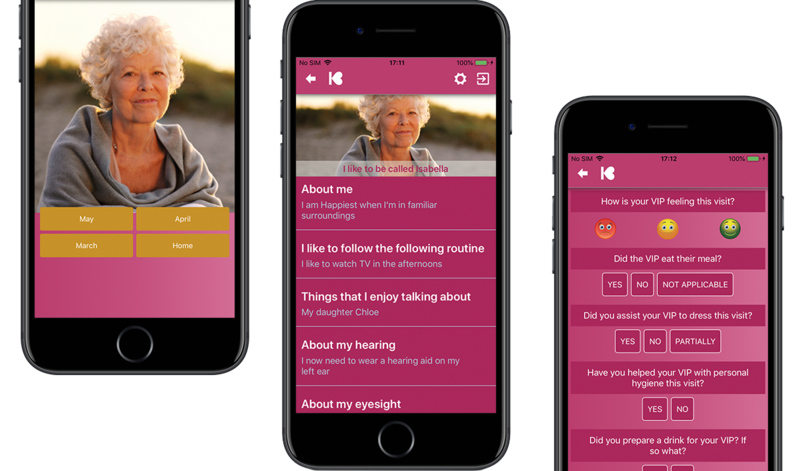 It has been developed specifically to promote independent, home living for the elderly, infirm, those living with Alzheimer’s or dementia and to enable early release from hospital for other clients where monitoring is required. 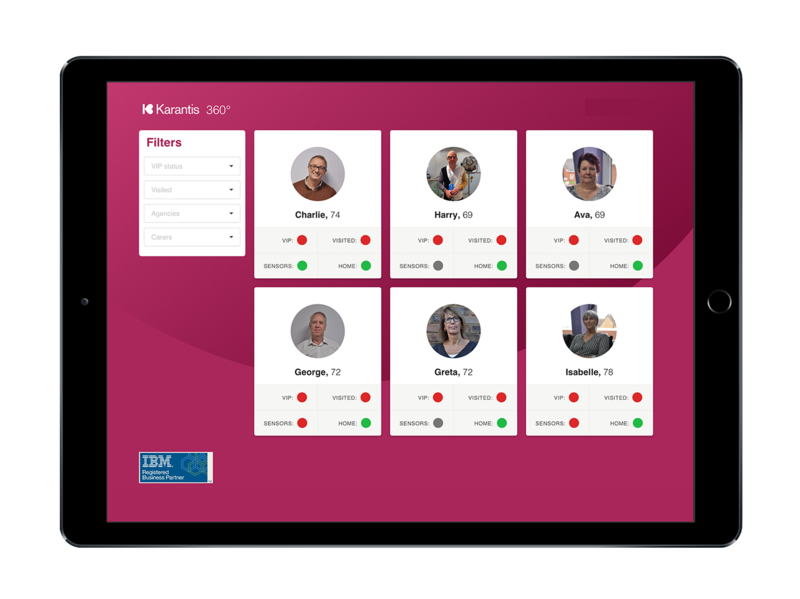 Using a non-intrusive system of sensors, machine learning and automatic data communication, Karantis360 flags exceptions to routines and habits, such as whether your client has got out of bed, is sitting in a chair, has boiled the kettle and so on. By analysing activity data and comparing it to expected patterns, the system identifies when your client’s activity is out-of-the-ordinary and sends you an immediate alert, so you can respond quickly and effectively to any potential emergency. Imagine an elderly client having a fall and lying on the floor until their next scheduled visit, maybe for up to 24 hours. With Karantis360, the non-activation of sensors would alert you, enabling you to react immediately, saving a great deal of distress and potentially saving a life too. Harnessing the power of ultra-modern technology, Karantis360 helps you deliver an age-old human need: to live somewhere familiar, safe in the knowledge help will be there if we need it. It has been a privilege to develop Karantis360 in close collaboration with IBM and EnOcean GmbH, the global leader in battery-less activity sensors. They all combine to give you a system which delivers genuinely smarter care with complete confidentiality and data security… a system you, your clients and their families can rely on and trust.